There has been a sharp increase in awareness of skin cancer in recent years as the result of a worldwide campaign against this disease and reports about the thinning atmospheric ozone layer, which is allowing greater penetration of harmful ultraviolet rays. Skin cancer is the most common cancer. One in three cancers diagnosed in the U.S.A. this year will be a skin cancer. One in six Americans will develop skin cancer in his or her lifetime. In 1991, 600,000 new cases of skin cancer were reported, and an estimated 8,500 deaths occurred from this disease. Melanoma accounted for 6,500 deaths, while non-melanoma skin cancers (basal cell carcinomas and squamous cell carcinomas) accounted for an estimated 2,000 deaths. While the death rate is low for non-melanoma skin cancers, there is a high price to pay in medical costs, disfigurement, and human suffering associated with non-melanoma skin cancers. Basal cell carcinoma (also known as Basal cell epithelioma) is the most common skin cancer in the U.S.A.. The cancer arises from the basal cells and associated structures of the epidermis . The tumor characteristically grows very slowly and almost never metastasizes. However, if left untreated, these tumors can lead to major tissue destruction and in some cases death. B. HOW IS IT DIAGNOSED ? Diagnosis of basal cell carcinoma is made on the basis of gross physical appearance, and a biopsy of the lesion with subsequent microscopic examination. Basal cell carcinoma can usually be diagnosed by physical examination alone, but Dr. Jacobs confirms the diagnosis by cutaneous biopsy. Under the microscope, the biopsy shows classic findings of basal cell carcinoma. C. WHAT CAUSES IT ? 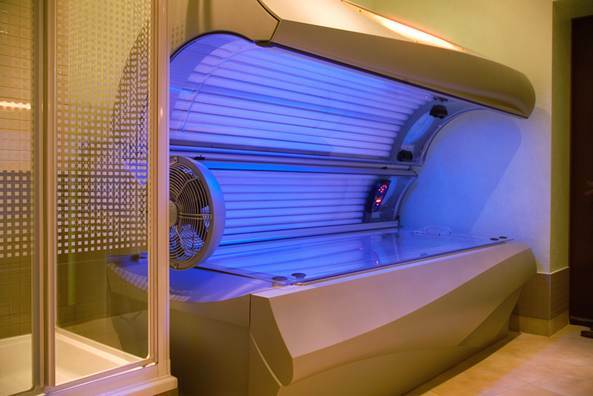 Exposure to ultraviolet light is the factor most commonly implicated as the cause of basal cell carcinoma skin cancer. Years of sun exposure are needed for skin cancers to develop, and it is therefore more frequently found in those individuals with outdoor occupations or hobbies. Golfers, swimmers, fishermen, and beach-goers are all at risk. So are construction workers. Most often, the basal cell carcinoma will not arise until 20 to 40 years after the causative sun exposure. 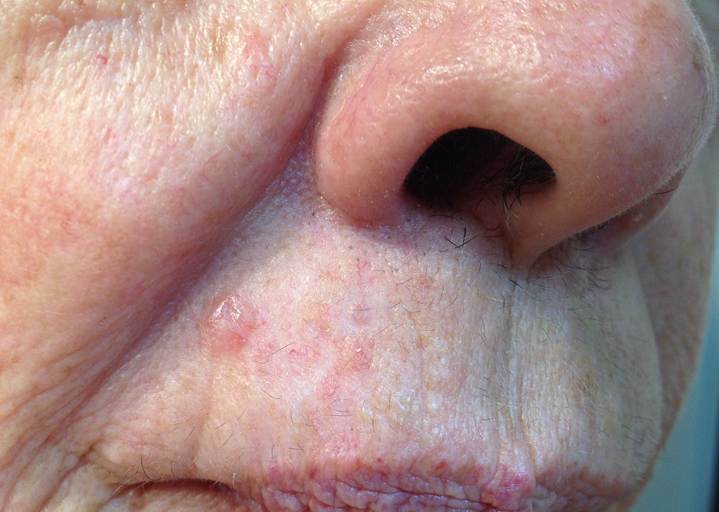 Basal cell carcinomas often arise in actinic keratoses or cutaneous horns (ask for Dr. Jacobs education sheet on precancers). 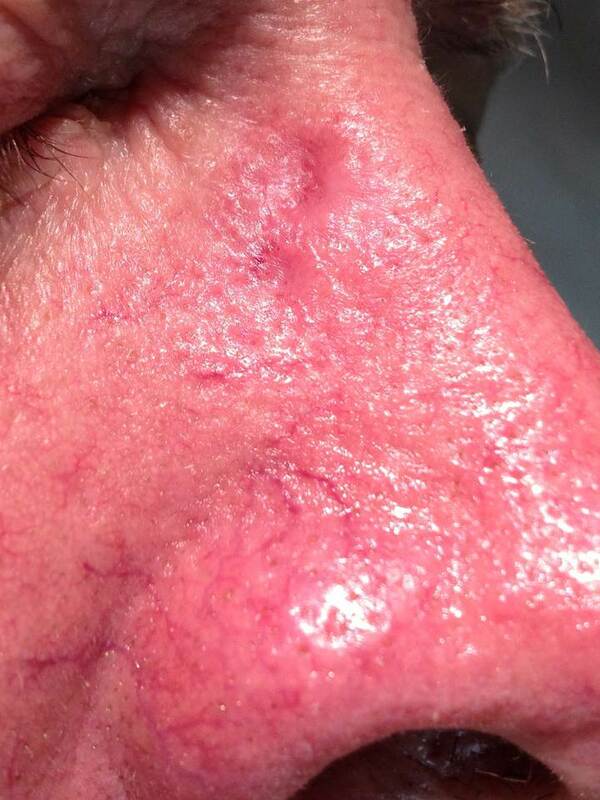 This is the reason that actinic keratoses should be treated. 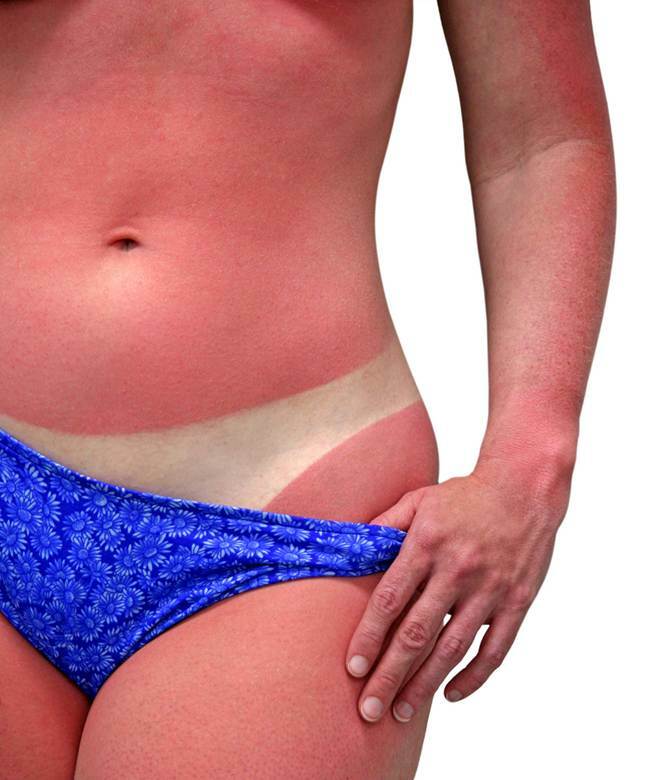 Patients with fair complexions, red hair, blue eyes, and those that tend to burn easily in the sun are at a particularly high risk. Other risk factors include a history of ionizing radiation, exposure to chemicals such as arsenic and nitrogen mustard, and various forms of injury to the skin. 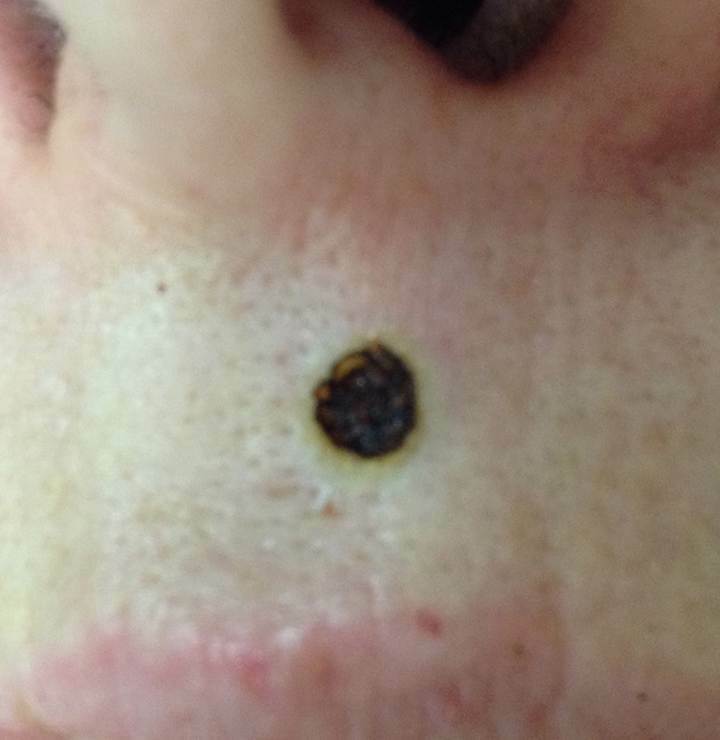 Basal cell carcinomas may occur at sites of previous insect bites, burns, and infections. Areas of chronic inflammation such as those seen with thermal burns, leg ulcers, and lupus may also predispose malignant transformation. As with other cancers, immunosuppression may also increase one's risk of squamous cell carcinoma. Patients with organ transplants or on immunosuppressive therapy are at a greater risk. There is a syndrome called basal cell nevus syndrome in which the individuals develop frequent basal cell. Most patients with basal cell carcinomas are over 65 years old at the time of diagnosis and basal cell carcinomas tend to occur in men more frequently than women. 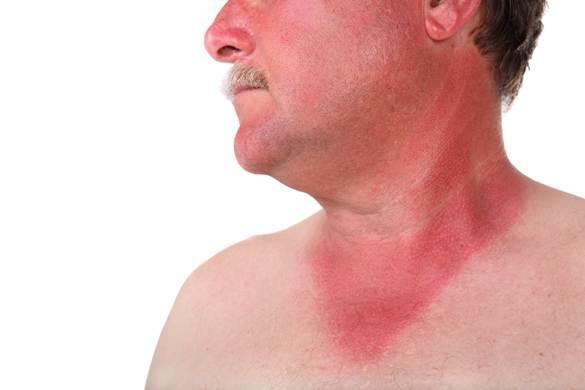 Occasionally, it is very possible to find basal cell carcinomas in young adults with a history of sunburns. D. HOW DOES IT PROGRESS ? Basal cell carcinoma usually begins as a harmless appearing red spot on sun exposed skin. Over many years, the basal cell carcinoma tumor will grow to invade the adjacent tissue, destroying structures such as eyelids, noses, or ears. 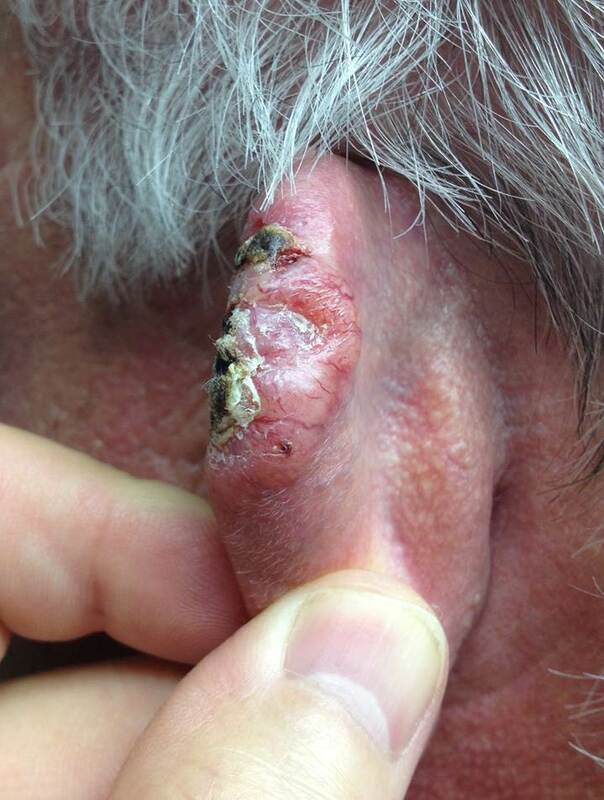 Ulceration may accompany the growth of the tumor, leading to further regional destruction. The small blood vessels associated with the tumor may frequently bleed when traumatized, alerting the patient to the possibility of skin cancer. With time the center of the ulcer can under-go necrosis and may even invade deep structures such as the underlying skull. These cancers, in general, do not show rapid early growth, pain or discomfort. For these reasons, patients tend to defer medical treatment until the tumor has progressed and is well advanced. The tumor rarely metastasizes but if not treated can lead to severe morbidity and death. It's best to have lesions checked as early as possible. 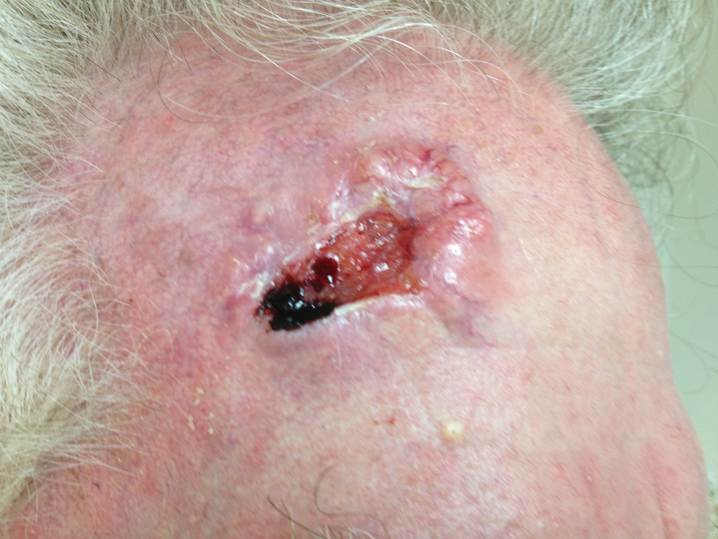 It is often difficult to tell just how large the basal cell carcinoma is, until Dr. Jacobs surgically scrapes away some of the normal skin that may be covering up the cancerous skin. 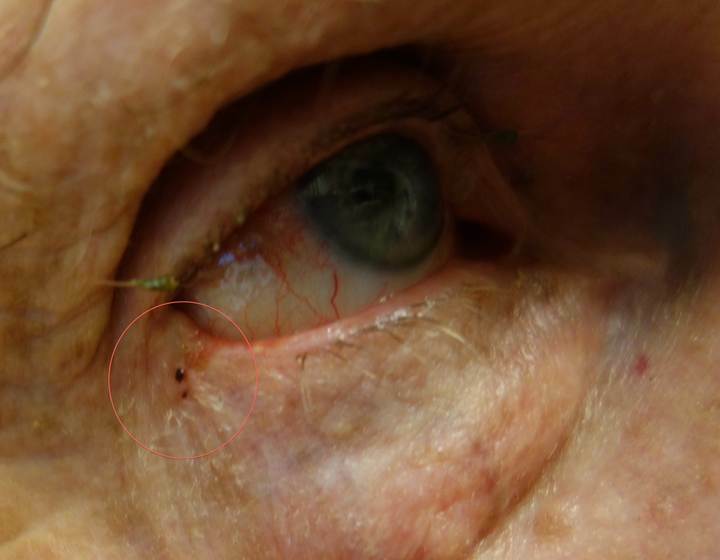 Many patients come to Dr. Jacobs with a small lesion, only to find that the lesion is much larger and is actually traveling underneath the skin. The lesion frequently begins as a flesh colored or pink pearly nodule with little blood vessels that are superimposed within it. This type of cancer may, however, present as a sclerotic plaque or a red, slightly scaly patch with a rolled translucent border. Occasionally, some pigment may be found in the lesion making it look like a more serious skin cancer called melanoma. Basal cell carcinoma is most often found on areas of the skin which have been exposed to sunlight: the face, legs, arms, or back. Treatment of basal cell carcinoma varies depending on the size and location of the tumor. The primary goal is to completely remove the cancer in the least deforming manner, while still achieving a cure. Surgical therapy: Surgical therapy is the most common method of treating basal cell carcinomas. First, Dr. Jacobs steriley prepares the site and administers local anesthesia. When the site is sufficiently numb, Dr. Jacobs begins his work. The most common treatment used today for treatment of basal cell carcinomas is electrodesiccation and curettage of the lesion. This technique involves the use of a scraping instrument to remove the tumor, followed by electrocautery or laser surgery to destroy the tumor and stop the bleeding. Each lesion is scraped and burned until all visible evidence of tumor is removed. Dr. Jacobs always takes a safety margin of normal tissue to ensure complete removal. The wound then goes on to heal on its own. Healing may take a month or more, depending on the size and location. Subsequent follow up is necessary to make sure the tumor does not reoccur. Electrodesiccation and curettage gives excellent results in certain locations. Dr. Jacobs may suggest electrodesiccation and curettage if your tumor is appropriate for this type of therapy. Another common treatment is surgical excision. In areas of the body where skin is easily stretched and cosmetic result allows, surgical excision can be a good alternative treatment. Dr. Jacobs makes an appropriate incision is made around the tumor, and includes a small safety margin of normal tissue to insure complete removal. 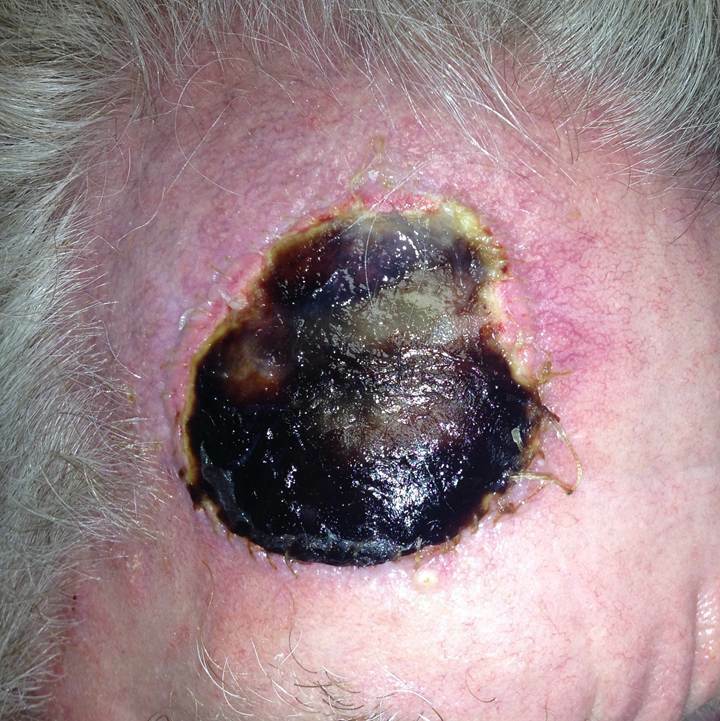 The basal cell carcinoma is then removed, and the sample is sent to pathology for evaluation of margins. Depending on the case, Dr. Jacobs may order either a tangential Moh's path cut , or, a conventional vertical path cut to evaluate the margins of the lesion. The defect is then stitched closed. Depending on the complexity of the wound, Dr. Jacobs may suggest a side to side closure, a skin flap, or a skin graft. Occasionally, the wound is left to heal on its own. Cryosurgery is another alternative Dr. Jacobs uses to treat certain basal cell carcinoma skin cancers. Dr. Jacobs sprays liquid nitrogen onto a lesion, and measures the tissue temperature with a special temperature probe. The tumor is frozen down to -50 degrees centigrade. This kills the cancerous tissue and may have the advantage of minimal scar formation in selected cases. All surgical methods may leave scarring and disfigurement. In addition, infection, bleeding, and permanent nerve damage may occur as a result of removing the tumor. These complications are exceedingly rare, but are possible, and must be understood. The vast majority of patients do very well, and the benefits almost always exceed the risks when deciding to remove a skin cancer. 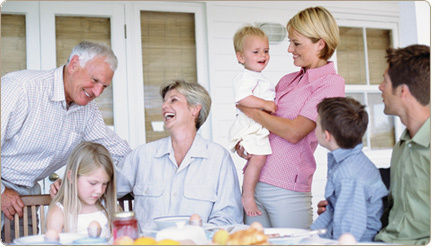 Complications are often unavoidable when dealing with skin cancers. But remember, the most important thing is to remove the tumor as soon as possible to prevent additional damage. At times, after the tumor is removed, additional work may be required to decrease the scar or restore the appearance. After skin cancer removal, Dr. Jacobs may use a small sanding device to "sand down" the scar, or may perform some other procedure to improve the site. 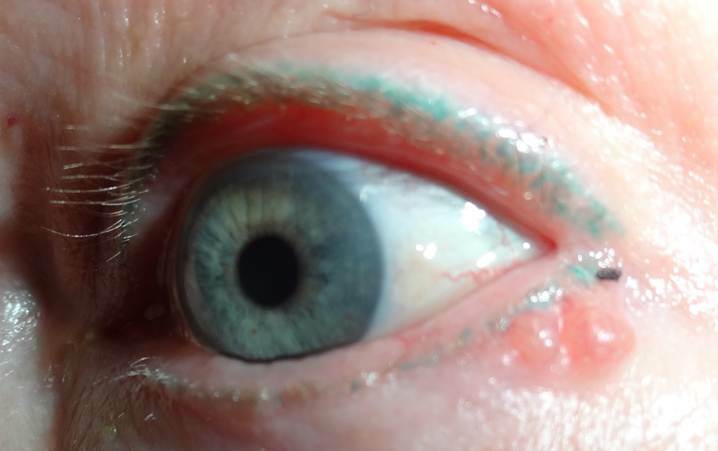 Again, this type of work is exceedingly uncommon, and most patients do very well with just a simple surgical removal. Finally, with all surgical therapies rendered, there is always a small chance of incomplete removal or recurrence. Dr. Jacobs handles each case individually, based on the patient's tumor, the location, the size, the patient's wishes, and overall health. Please understand that skin cancer therapy is often more than on step. The patient may need one or more sessions in order to remove the cancer. Also, the patient may need additional cosmetic work to restore the appearance of the site. Time and patience is needed to achieve the desired result. For example, if an eyebrow or nose is stretched after surgery, a second procedure may be needed to restore the appearance. If a scar is large, a second procedure may be needed to improve its appearance. This all takes time and waiting as the human body takes time to decrease swelling, stretch, and heal after surgery. Radiation therapy is the most common non-surgical therapeutic modality for basal cell carcinomas. In selected cases, if surgical excision, curettage, or cryotherapy is not agreeable with the patient's wishes and expectations, and if appropriate, Dr. Jacobs may suggest a referral for radiation therapy. Radiation therapy can give excellent cosmetic and therapeutic results in certain selected cases. Not every case is appropriate for radiation, but radiation therapy can be a viable option for certain individuals. Another non-surgical therapeutic modality for basal cell carcinoma is interferon. Dr. Jacobs is experienced in using interferon for a variety of cutaneous tumors. Only rarely is interferon used, but, interferon may be helpful in selected individuals. The FDA has now approved a drug for the treatment of BCC. The drug is called vismodegib (Erivedge) and is a pill that is taken once a day. It’s approved for the treatment of patients whose basal cell carcinoma has spread from where it started, and for patients who can’t be treated with surgery or radiation. Basal cell carcinoma is almost always curable if it is caught early enough. 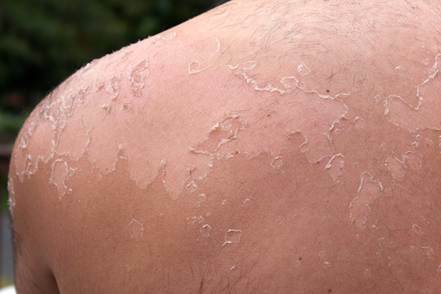 However, once sun damage has progressed to the point where these lesions have developed, further lesions may appear even without further sun exposure. It is therefore imperative that once you have been diagnosed with cancerous skin lesions, you should closely examine your skin on a regular basis. Also it is extremely important to use preventative measure to decrease the risk of other precancerous or cancerous lesions. 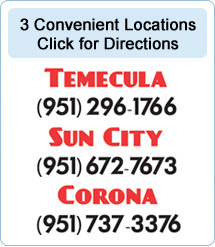 If any new lesions occur or old lesions reoccur you should contact Dr. Jacobs ASAP. As a picture is worth a thousand words, here are photos to help you understand BCC.